EXCLUSIVE! 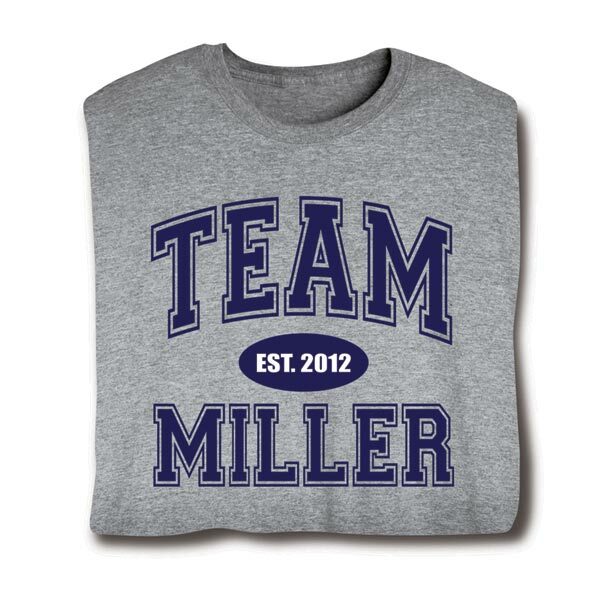 A wonderful anniversary idea for the a couple or family, custom name your own "team" and establish date on this classic athletic shirt. 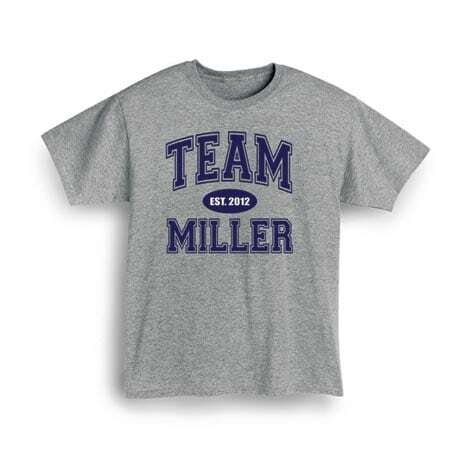 Fun shirt for any member of the family as well; get one for everybody on the team! Great for family reunions. T-shirts are 90% cotton/10% poly, sweatshirts are a 50-50 cotton/poly blend. Imported shirts. Printing in the USA. Machine wash. M-XXL. Sport gray color.